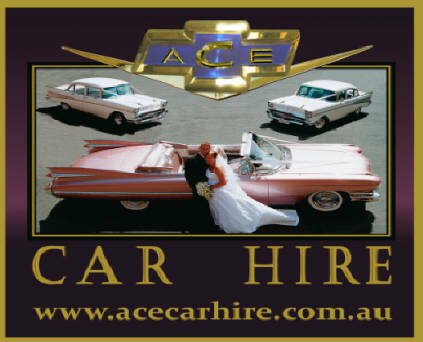 "For the Biggest Fins and Best Cars in Town"
Dare to be different and hire a classic car that will out do everyone else. For the boys, our 'tuff' 57 Chevys offer performance and excitement. Be a star for the day and experience what it was like to be rich and famous or a movie star back in the 1950's.